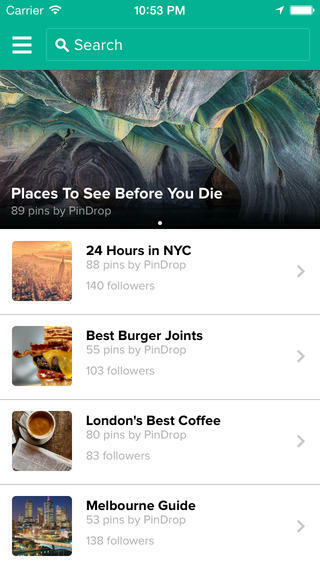 When we last covered Pin Drop a year ago – an iPhone app and website which helps people bookmark locations – we described it as an Evernote for location. 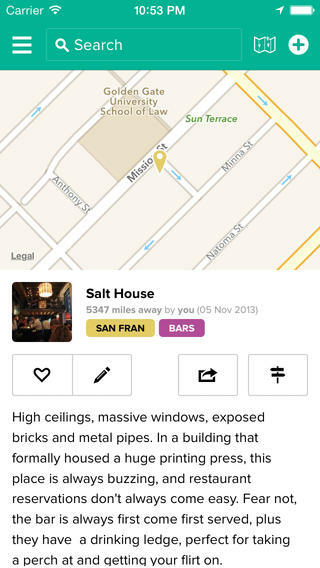 You could drop pins onto a map and build up a library of your favourite locations. So far so simple. A much bigger startup, Findery, from Flickr cofounder Katerina Fake, has raised $11m to do almost the same thing. But the bootstrapped PinDrop has now been rebuilt from scratch and frankly, I would say it is head and shoulders above Findery, not least because it’s capable of an entirely mobile experience. Until now the app’s only been on iPhone, with the new version they going to be launching on Android too and in 10 languages. 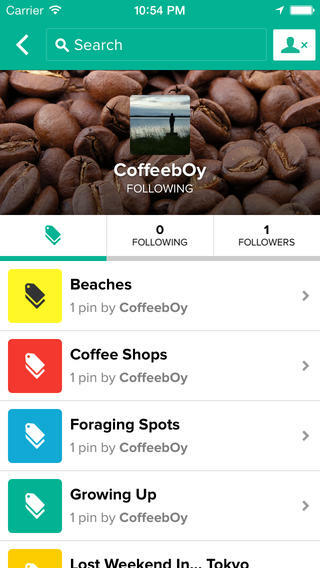 While Pin Drop is avoiding the Foursquare tag, (there are no points, no badges, no leader boards to game). Instead what you have is an exceedingly useful app which also works offline, where you can make drop pins not locations and recommend them, making them public or private. You could thus follow me on PinDrop and see what locations I bookmark for startups in Europe as I travel around. All of a users’ pins are private unless they choose to share them and make them public. Of course, ideally many will become public, thus populating the globe. 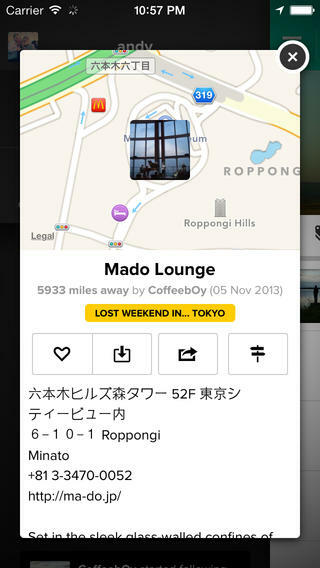 Pin Drop also has an API for third party developers to play around with. 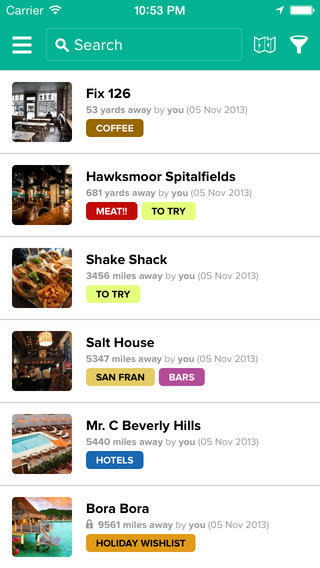 Given that it also features curated lists, it is reminiscent of what the ill-fated Amen app used to do in terms of recommending good places to eat etc. The biggest draw backs with rival apps is that they pre-ship with set categories. Doing this automatically forces the user to use the app in a certain way. Pin Drop ships as a blank canvas meaning the only limitation is the user’s imagination. While rivals are focusing very much on exploring locations, Pin Drop’s exploration feature is secondary to the content that the user creates themselves because of the option to make pins private. They’ve also introduced collaborative tagging to this version. This is a really nice way for topical eco-systems to form around anything and everything ranging from “Where to spend your Bitcoin” through to “Best burgers” or “Child Friendly Places”. Collaborative tags can be public or restricted (amongst a group of friends e.g. Plan that stag-do). Pin Drop can be used anonymously, and has been downloaded around 200,000 times but by signing in the app also give you social features, like following people. British actor, writer and blogger Stephen Fry calls it “Truly intuitive, truly smart, and truly useful.” And he’s helped push it out to his 6.3 million followers.